Cooling conditions affect cycle time, part dimensions, surface finish, and warpage. Here are some ideas for fine-tuning your mold cooling system. Molding is a complex business. From a technical perspective there is much to know. Molders must be versed in materials science and the workings of a molding press. They must know about hydraulics and electrical controls. And they should even be at least “shade tree” tooling experts, familiar with steels, heat treating, runners and gates, and mold cooling. Of these tooling facets, it could be argued that mold cooling is one of the most important. A slight difference in cooling conditions can add or subtract seconds from the molding cycle, making the difference between a profitable molding job and a loser. Critical dimensions, surface finish, and part warpage are all affected by cooling conditions. It is ironic, then, that mold cooling is the neglected stepchild in many molding shops. We have all sorts of “gee-whiz” technology for monitoring and controlling nearly everything but mold cooling. Like most things, there is more to know about the finer points of mold cooling and heat transfer than most of us care to learn. In fact, you could probably write a good PhD dissertation on mold cooling if you wanted to. But we’re not going to consider those complexities here. Although most molders have an idea of what mold temperature they need, they often have no idea how many gallons per minute of water they need through a cooling circuit or what size hose and fittings to use. These are some of the simple, common sense things to know on this subject; useful, well-conceived products can give you better information and control over mold temperatures. This article aims to help you gain a better understanding of mold cooling and to be helpful in your molding efforts. Let’s start with some engineering basics. Most of you have heard something about turbulent flow and that it is good for cooling. But just what is turbulent flow? How does it help? What flow rates are needed to achieve turbulent flow? Turbulent flow begins when the velocity of fluid in a channel increases to a critical level. Above this critical velocity, vigorous internal mixing of the fluid occurs as it flows. This improves heat transfer by mixing warmer fluid near the wall of the cooling passage with the relatively cooler interior fluid. the precise velocity for turbulent flow depends on several variables, including the cooling passage geometry, fluid viscosity, and roughness of the pipe walls. The formula for a ratio known as Reynold’s number includes these variables. A Reynold’s number greater than 4000 denotes turbulent flow. 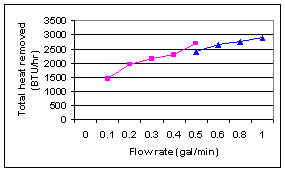 Table 1 shows some values for normal mold cooling situations with water as the fluid. Having said this, I can tell you that in some cases turbulent flow doesn’t matter too much, and in other cases it matters a lot. In one example, the cycle time for a coffee mug with a 0.200-inch thick wall was very poor. The molder wanted to improve the cooling in the mold cores with the goal of achieving a substantial cycle improvement and spent a significant sum making cooling “improvements”. When the mold was sampled, the molder was surprised to learn that the cycle was about the same as before. What was going on there?